Having fundamental lessons from my childhood challenged brings mixed feelings. There’s excitement in progress, but some alarm as the foundations of my construction of the world are chipped away, together with a nostalgic regret of lost innocence. My latest example of this came in the world of taste, a sense that is similarly complex and full of nuance. I was brought up to know that there are four primary attributes – sweet, sour, salt and bitter – that our taste buds detect. At some point I became aware that umami had been added to the list. This was disconcerting as umami is actually mediated by monosodium glutamate (MSG), often portrayed as an ‘evil chemical’ we should avoid in food, but this was balanced by the reassuring symmetry of five tastes and five senses. And then this week, a report in the Guardian led me to a review by Russell Keast and Andrew Costanzo entitled “Is fat the sixth taste primary?“, and my safe world crumbled a little more. Before getting to fat, I thought I’d do some therapeutic research into how umami had slipped into my life in the first place. It’s an extraordinary story, that started at the turn of the 20th century, just as Newtonian physics was being overturned (something else they forgot to mention at school). The story goes that a Japanese chemist, Kikunae Ikeda, had a moment of awareness in 1907 while adding seaweed to his cucumber soup, that it contained a different flavour. 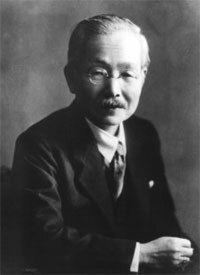 He coined the name ‘umami’ (which means ‘delicious taste’ in Japanese), and being a chemist, he naturally took the seaweed to his laboratory, and went on to identify MSG in 1908. He patented the process – the first in which an amino acid was made on a large-scale – and marketed it a year later. His company, Ajinomoto, is still the world’s largest MSG producer, and global production is now over 2 million tons per year! There are organizations promoting umami (the Umami Information Center and the International Glutamate Information Service), annual umami conferences, and a recent prize-winning docudrama of Ikeda’s life. The biology behind umami taste was slower to catch up, and determining if our sensing of a molecule is a primarytaste turns out not to be trivial. Not only is it possible that a combination of other tastes plus smell could be responsible, but we’re also having to deal with, and try to measure, a subjective experience. However, research from 2000 on has shown that there is indeed a family of receptors on the tongue that bind L-glutamate, and detailed molecular studies are ongoing. Umami as a primary taste seems vindicated; the Umami Information Center will be relieved! This story has a bit of everything: the genius lone scientist, pursuing his own truth glimpsed in a bowl of soup; big business; East vs West cultural clashes; and an accumulation of evidence ending with elegant molecular biology published in Nature to satisfy the reductionists. Back to fat. One aspect of the discovery of umami as a primary taste is that it seemed a bit of a no brainer in retrospect, that we might have evolved to identify food that contained protein, and that logic would apply equally to food that contained fat. What Keast and Costanzo have done is review a mass of evidence, and ask: “Is this persuasive?”. And it’s complicated, not least because the most likely molecules that would be detected are fatty acids, and they appear to be detected only at concentrations lower than we can taste them. Indeed, once we can taste them, they’re unpleasant. All tastes are only acceptable within a range above which they are disagreeable (too much salt, for example), but with fatty acids, this threshold is very low. However, they list 5 criteria they suggest should be met for fat to be accepted as a separate taste, including both a perception that the taste is different, and also evidence that different receptors are involved at a molecular level. They also make the point that whether it is a primary taste or not, there are physiological effects in response to the sensing of fats. A recent Horizon programme called “Sugar v Fat – what’s worse?” (what an odd way to look at food!) pointed out that we can only stomach so much pure sugar or fat, but mix them together, and we can eat the product (aka ice cream) till we make ourselves ill – and rats do the same. So it’s the combination that is particularly attractive to us, which again, for me, links back to the evolutionary argument, where it makes sense that complex foods, being more nutritious, have become more interesting than simple ones. 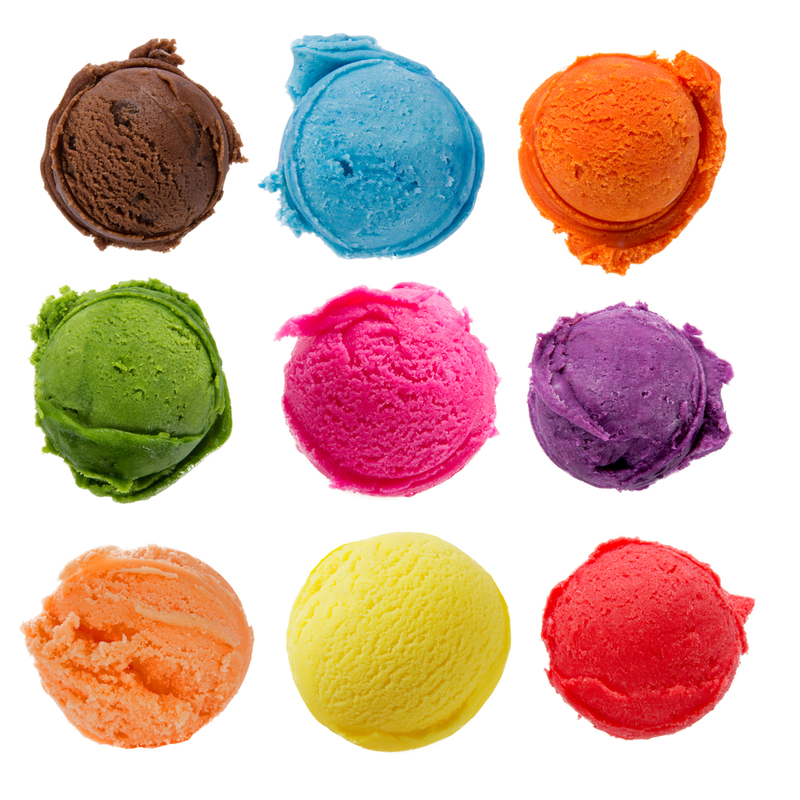 I’d take the ice cream analogy further, and note that other mixtures are particularly difficult to stop eating: umami and fat (aka gravy), for example. A recent Celebrity Masterchef contestant admitted that her secret was simply to add butter to everything, as it made everything taste better. So while it’s interesting to look at individual tastes, maybe it’s more about combinations, not only in terms of perception, but also at a molecular level. This is the case even with umami alone, as the receptors detect glutamate preferentially, but are enhanced by binding of certain nucleotides. Many of us live in unusual times of food surplus that is fuelling obesity, and items that stimulate most of our primary tastes – sugar, salt and MSG – are all seen negatively. Is fat about to join this list of Primary Taste Villains? Although in the Guardian, Keast and Costanzo are quoted as saying “the evidence … is now overwhelming enough to call fat a taste”, in their review they are far more circumspect, suggesting that “the next 5 to 10 years should reveal” if this is so. Maybe that’s the dampening effect of peer review, but you can tell where they’re putting their money.